Blackberry Messenger 5! Coming Soon! Those who are addictive Blackberry users like myself, may use Blackberry Messenger to keep in touch with their friends and relatives. What happens is you give your PIN to your friends. Then they can add you to Blackberry Messenger and you both are able to instantly send messages back and fourth much like having MSN Messenger on your phone. The difference, Blackberry Messenger is pretty much always on (you can turn it off/put it in away mode). It is text messaging but instant as opposed to delayed. Like MSN Messenger you are able to see when the other person is typing a message. In the near future Blackberry is changing the way people use Blackberry Messenger and instead of giving your pin. You will scan a barcode using your camera enabled Blackberry simply by holding your camera up to the barcode. 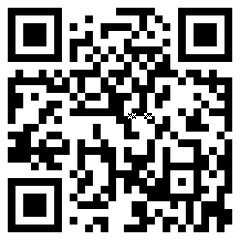 The barcode below is an example and is the barcode for my Blackberry. The barcode could be on your Blackberry but you can email it to people or store it on your computer. With Blackberry Messenger 5, you will simply go add a contact and then select scan bar code. It will automatically scan it (when it reconginizes one) and add the user. Ontop of this, Blackberry Messenger will also allow you to track your friends like you can on Google Maps/Latitude. For the friends that allow you to track them (you can select them individually), you both will be notified if you are within a certain distance of one another, they call it a proximity alert.